This is a wonderful salad to prepare when fresh pears are at their peak. To enhance the flavor of the walnuts, you may toast them on an oiled cookie sheet for 5 minutes at 350ºF. The dressing can be made with the oil of your preference, but I like the flavor of canola oil when it is combined with the other ingredients. Put the greens, pears, walnuts, and cheese into a salad bowl large enough for tossing. Mix the first four dressing ingredients together in a bowl. Using a hand mixer on high speed or a wire whisk, slowly drizzle the oil into the dressing until it is the consistency of honey. Pour the dressing over the salad and mix gently. Serve immediately. Note: To keep the peeled pears from turning brown, slice them into a small bowl with water that has a tablespoon or two of lemon juice or vinegar added to it. Dry the slices just before use. 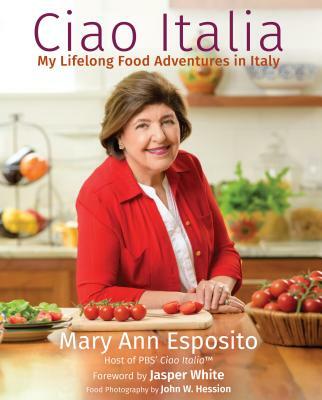 This recipe was developed by Mary Ann Esposito in 2000 for her television series Ciao Italia. I love your show. Thanks for sharing your recipes. My family appreciates it!